Hobo Nephews of Uncle Frank’s new album American Shuffle was released April 21, 2015 on Chaperone Records and is now available. 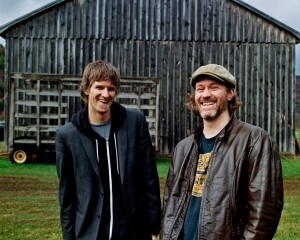 American Shuffle is the brother songwriters Ian and Teague Alexy’s follow-up to their critically acclaimed 2013 album Number One Contender. American Shuffle was produced by Ryan Young of Trampled By Turtles.